Just passed eight years in the 2011 Acadia SLT-2, with ~127,000 miles. There have been a few issues through the years, until now the most significant being things like the steering rack assembly, front shocks/struts, broken engine mounts, and the AC system recirculation door actuator (all except the last item were covered under the original warranty or GMPP). There were also a few recalls here and there. One thing that completely amazed me was the original brakes going until 94k miles...even though about 75% of my driving was freeway, it was surprising to see them last so long on a heavy vehicle. I have been religious about oil and filter changes every 5k, UOA every second or third change, and it goes in about every 15k for a complete look-over. Currently on its third set of tires, and the original battery croaked at about six years. Have replacement OEM driver seat cushion and leather upholstery components on hand to install, as this is where the miles are most evident. Paint is still excellent; a clear bra went on immediately after bringing it home, but after eight years the material is at end of life, so peeling it off will give me a new-looking front bumper, headlight lenses and hood. Except when the original battery died (and that was in my driveway), it has never stranded me and I still enjoy driving it. Today it's in the shop for several issues: Inoperative AC (condenser failed/leaking), broken engine mounts (again), worn out/melted front stabilizer bar bushings, and rear shocks (they are the originals). Except for the third set of motor mounts, none of this seems out of line for a vehicle with almost 130k on it. My plan is to keep it for another year or so. This was my first GM vehicle ever and all things considered, it has been a good experience. Last edited by tewatson; 02-20-2019 at 07:25 PM. Great post, @tewatson. 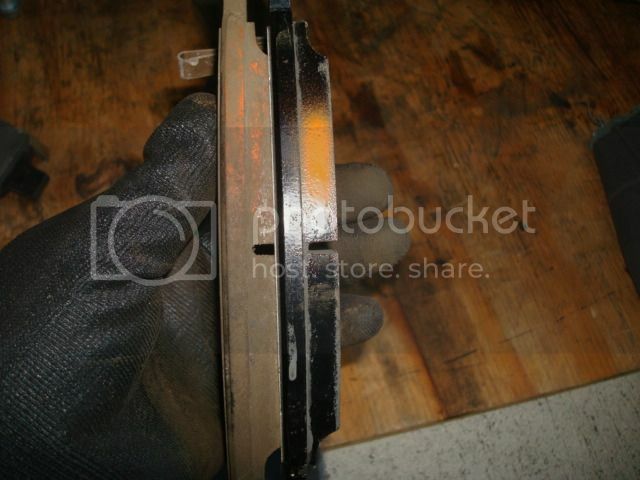 Must say I beat you on the brake wear. 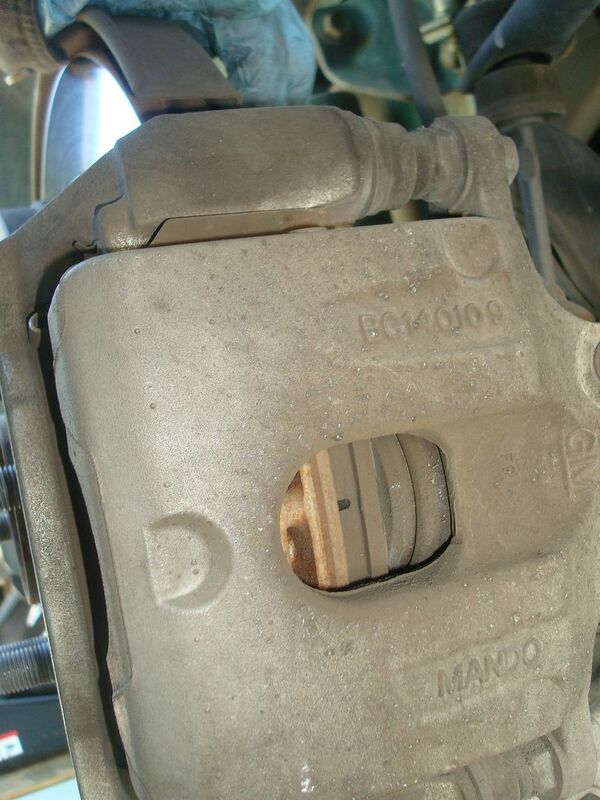 The fronts were changed @ 115,000 miles and the rears @ 125,000 - none of them ever let out the worn brake squeal. All rotors were usable through another cycle, too, so they're still original. My driving has been a mix of suburban and highway, with frequent excursions on 2-lane mountain roads. I also plan on keeping mine a while longer. It might be the last new car I'll ever be able to buy. Last edited by speleos; 02-20-2019 at 07:38 PM. One thing that completely amazed me was the original brakes going until 94k miles...even though about 75% of my driving was freeway, it was surprising to see them last so long on a heavy vehicle. I'm having the same experience. I have 104,000 miles on my '09 now, still with the original brakes. It's so startling to me because my prior vehicle, a '95 GMC Jimmy, went through brakes likes crazy. Every 35K miles it needed new rotors and pads all around, so this Acadia had been a real eye-opener. 2009 Acadia SLT-2 AWD, 8 pass., Red Jewel Tintcoat, Light Titanium, Bose radio/NAV. Ordered on 8/29/08; delivered on 10/10/08. Im at 147,500 and still on the factory rear pads. All factory rotors. The front pads were replaced at 100,000 with some 'new' ones- that fellow owner took off of his new 2012 Enclave with 600 miles. Akebono factory pads. I replaced them because I did a 100K tune up. Plugs, struts, oil, trans fluid, brake pads, etc. Amazing for 100K and the size of the Lambdas. Last edited by speleos; 02-21-2019 at 12:01 PM. I just traded my 2011 SLE at 78000 miles. I had exactly the same repairs as your first paragraph, only my power steering wasn't covered by warranty. These are great vehicles and I'd still have that 2011 if I hadn't found a CPO '16 Acadia Denali at a steal of a price! I'm about to begin year 12 with my Acadia at 136,000 kms and I've been very happy with it. Up until December, when I did the timing chains, I had no major repairs. I had a couple recalls - power steering pump and air bag wiring harness, but the rest have been wear items. I'm on my 2nd set of tires, 2nd set of brakes, 2nd set of front struts, 3rd set of stabilizer links, 2nd of stabilizer bar bushings (now silicone) and 3rd radio (now non-stock). The silicone bushings definitely seemed to cure the appetite for links. I plan on keeping it for another 2-3, or until it's no longer economically smart. I've spent less than $10K on maintenance and repairs since I bought it 11 years ago. Power wash underside and engine bay. I have a 2011 Acadia and maybe I'm too negative but I too have had the things the other posters mentioned (except brakes) go bad. Motor mount, steering rack leak, steering rack bushings, water pump, struts, hvac actuator, air conditioning refridgerant leak and last and least the hood prop rod. And I only have 58k on it. I like the Acadia, it drives nice, has lots of room but none of my other cars had this many things need this much love at this point of ownership. I've been lurking on this site for several months & haven't posted in years. I bought my 2008 Acadia SLT2 new from a dealer in Nov, 2007. Our relationship has been mixed: I was very happy with it until 40k, unhappy with the repairs 42-60k, now I am content as we age together. It now has 150,000. Since I purchased the vehicle, our family has been taking road trips of 3,000 miles (round trip) 3 times each year. Our last road trip in Dec 2018 was the last one for this Acadia - upon return, I had to have an ignition coil and a solenoid replaced. And the trans has been acting up on long trips - after 80 mph for an hour, get off the highway & slow, it won't get out of 2nd gear until I turn it off & restart it - usually after a rest. It doesn't happen every time, maybe 4x in 2018. So it's time to let her retire to be a local driver. I'll keep it for 2-3 more years. I do still love the interior cargo room in these older models! We have a 2010 AWD SLT-1 that was a 2 year company lease turn in, purchased 5/11/2012. The motor was replaced by GM at 98,000 miles slightly before the 2 year lease expired (expired while the engine was being replaced). We are now at 200,242 miles. I have done the following work thus far myself at roughly the miles listed below.. I just found a piece of the RR coil spring in the driveway, so that will be on my list to replace along with some pieces for the sunroof. I also have a weird shudder occasionally in the transmission but I've driven it like this for years (shows shift solenoid codes). I plan on replacing the transmission and engine/trans mounts along with the timing set, coils, plugs, O2 sensors, etc. while changing the transmission this summer. It's been a very reliable vehicle and I've done everything myself. I still have a small freon leak somewhere that I'll address this summer as well, along with getting the rear a/c to blow cold air. I really can't complain, it looked new when we bought it, I'm not even sure anytime has say in the second row and the 3rd row didn't appear to have been folded up, ever. It even had brand new tires (although I hated the original Goodyear RS-A tires). I've also had to spend in new connectors for the headlights (non hid). My goal is to run it to 300k lol. We also have a 2013 Buick Lacrosse AWD (56,000mi) and a 2007 GMC Canyon Z71 CC (250,000mi). I think everything I've ever owned has made it to 200k before parting with it. I replaced mine at 144,000 when I started to notice some funny shifts. (no codes were set yet). Last edited by speleos; 03-29-2019 at 01:52 PM.